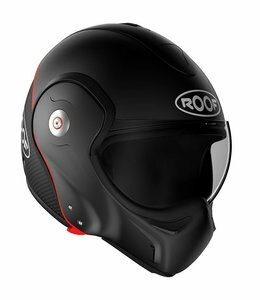 New in the range of Roof Boxer-Helmets is the Roof BoXXer carbon. 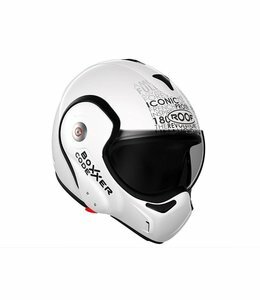 Yes you read that right, BoXXer with a double X. 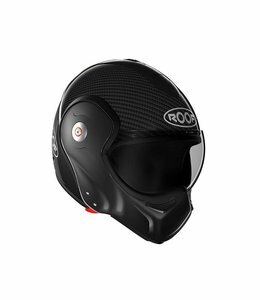 This redesigned version of the Roof Boxer V8 is made of a combination of glass fiber and carbon, has an automatic closing chin mechanism, even more ventilation, an improved visor seal and the kin closure is now equipped with a Microlock closure. 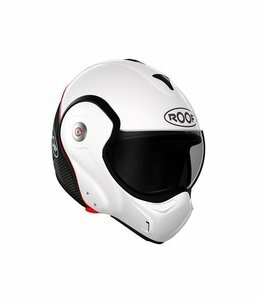 Of course the Roof Boxer V8 remains in the range and this model just comes with it.